Designed to delight the most discerning users, ABJET has arrived to rule a new way of boating. The ABJET is on track to dominate its segment thanks to its stunning performance, luxurious style, comfort, safety and unparalleled quality craftsmanship that AB Inflatables is known for worldwide. 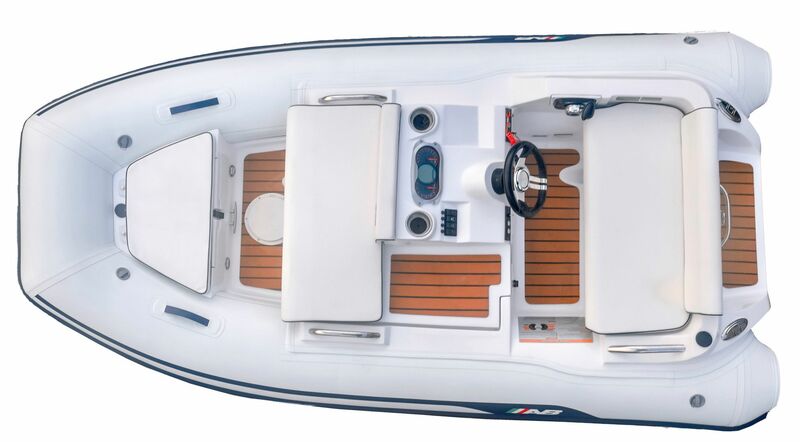 Its double pilot seat, comfortable foot rests and a complete flat floor for easy and secure access will transform you and your crew boating experience. Its power and performance will lead you to experience those feelings only felt in memorable times like the joy of the first time behind the wheel. At the end, you will be free, because the ABJET is unlike any jet boat on the water today. Lengte over alles 3,3 m.
Breedte over alles 1,72 m.